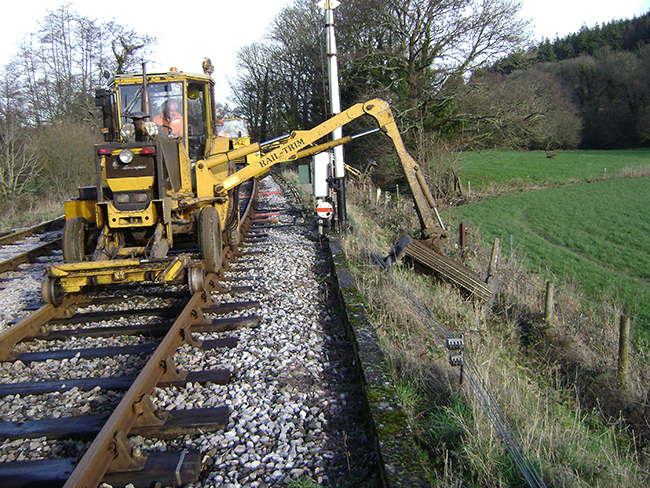 Early 2013 has seen the annual visit by DB Railtrim with their rail mounted flail mowers. 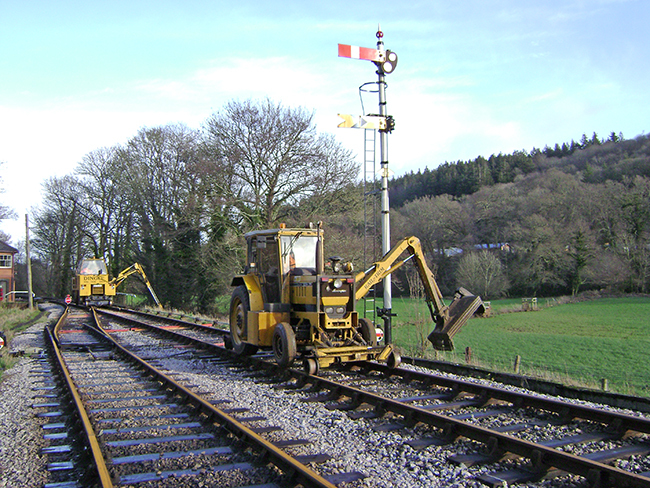 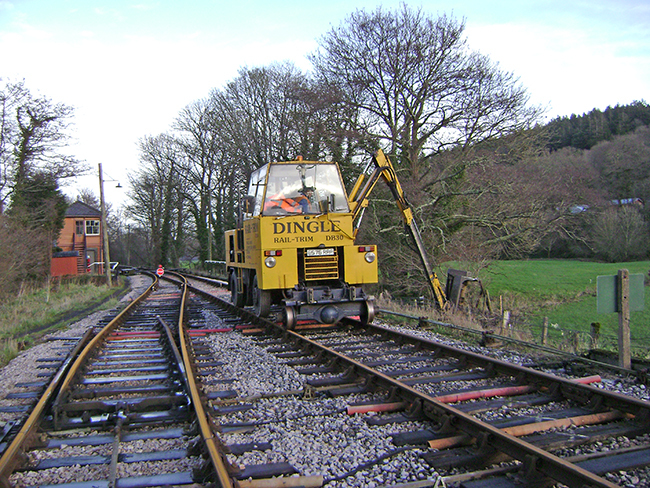 These machines cut back the lush Devon vegetation which, if not controlled, would engulf the railway in a surprisingly short time. 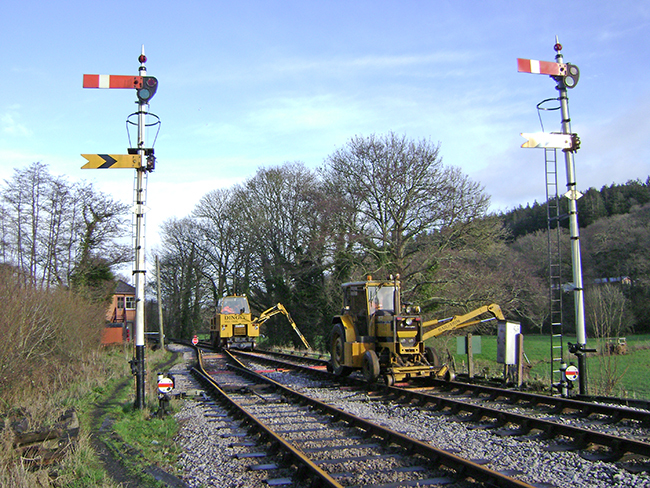 The machines are seen working in the area of Bishop’s Bridge loop near Staverton. 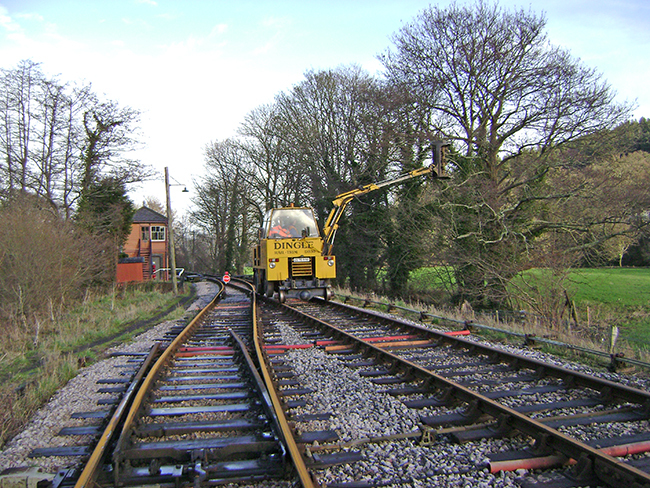 2013 train services start with our Winter Gala and Ale Festival from 16th to 24th February then full daily service starts on Saturday 26th March with our Half price weekend.